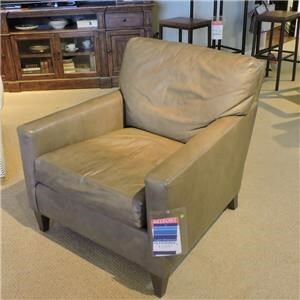 This beautiful and comfortable transitional style chair features customizable arms and comfortable cushion backing. Exposed wooden feet. This item has a variety of unique customizable options. The wood finishes are available in a variety of different shades, and any fabric offered by this company can be placed on any frame. 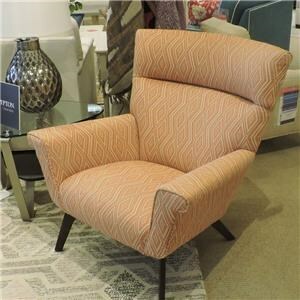 The 2071 Customizable Upholstered Chair by Huntington House at Belfort Furniture in the Washington DC, Northern Virginia, Maryland and Fairfax VA area. Product availability may vary. Contact us for the most current availability on this product. 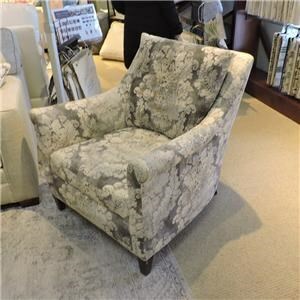 Fabric Content Any fabric offered by Huntington House can be used on any furniture piece. Warranty Frame, Springs, and Cushions are under a limited lifetime warranty (Original Fabric, Original Owner). This beautiful custom upholstery collection is perfect in a living room, family room, or entertainment room: anywhere relaxation and class is required! A variety of customizable options are available, from arm style to base and cushion type. For contrasting throw pillows, throw pillow fringe or rope, contrasting welt on the through pillows, or contrasting bias welt or welt on the entire piece comes at no extra charge. The wood finishes are available in a variety of different shades, and any fabric offered by this company can be placed on any frame. 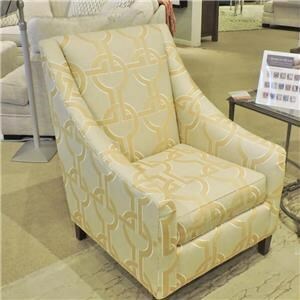 The 2071 collection is a great option if you are looking for Traditional furniture in the Washington DC, Northern Virginia, Maryland and Fairfax VA area.